We all like to have a short yet meaningful domain names for our website or blog. But searching for available domains on GoDaddy or Big Rock is very time consuming and frustrating. In my case, I wanted a simple domain name related to programming. I searched and searched. Finally bought www.genuinecoder.comfrom GoDaddy. The truth is, I named this blog as Genuine Coder after purchasing the domain name. So that’s not your case, right? Well, there are a number of ways to find out available domain names. 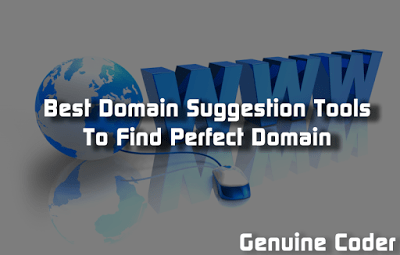 Let’s see how we can find a perfect domain name for you. 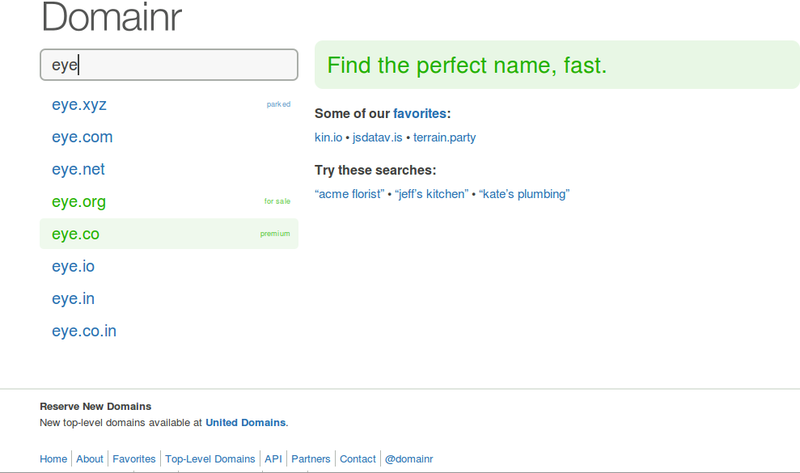 Lean domain search asks to enter a word that you want your domain name to include. I have used “programming” and got 3,875 available domains. Lean domain search provides options to sort result according to popularity, length or alphabetical order. Moreover, it searches on twitter to find out whether “@yourdomain” is available on twitter. When sorted according to length of the domain, I got “ExProgramming.com”. Lean domain search also provides Search Term Filter that helps to filter the result based on domain names starting with search term or ending with search term. Domains bot work like Lean domain search. Once you enter a keyword, you will get list of available domains. You can choose whether you want particular TLD (Top Level Domain) like .com, .org etc. It is also possible to choose the words from English, Deutsch, Español, Italiano, Français and Dutch. Name Mesh is also a good choice. Simply enter in your keywords and results will be sorted into eight categories of results, including Common, New, Short, Extra, Similar, SEO, Fun and Mix. You can refine your result by limiting the maximum characters or showing only ones that available with particular registrar like GoDaddy or BlueHost. 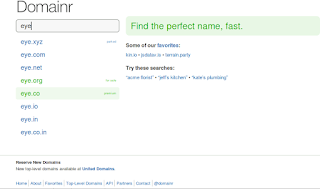 Domainr is a simple tool to find available domains. It has less options compared to above ones. When you search for a specific keyword in domainr, you will get a list of .com, .org, .co.in etc variations. Unlike above tools, it does not provide any added keywords as prefix and suffix. I searched for eye and got eye.com, eye.net etc. as taken and eye.org for sale. It is better to do a thorough research before buying a domain. Because After setting one domain for your website/blog, it is hard to change since all the search engine entries and back-links will be lost. Moreover, you will loose your precious Alexa ranking too. All of these tools are very helpful. Yet, I prefer LeanDomainSearch and NameMesh since they have a lot of search refining options.